NCCAS provides turnkey conveyor systems and specialized equipment for OEM partners in all industries. We provide both sanitary and non-sanitary conveyor systems. We help OEMs plan, evaluate, and design solutions for their clients’ automation processes. We build the solution, sell it to OEMs, and assist them in selling the system to their clients. Across our industry, we’re seeing more of our OEM partners choosing to focus on what they do best and exclude any extraneous equipment that is not their strength. As they focus, they need partners to provide additional equipment to complement their machinery offerings in an automation system. Many customers would like to reduce the number of vendors they use and the number of purchase orders they need to place. 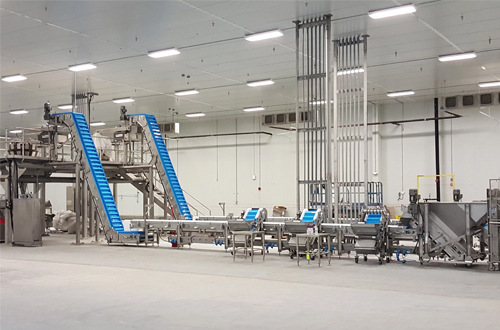 Our OEM Partners want to offer this service to their clients, and are able to meet their customer demands with an industry-leading conveyor system from NCCAS that integrates seamlessly with their equipment. 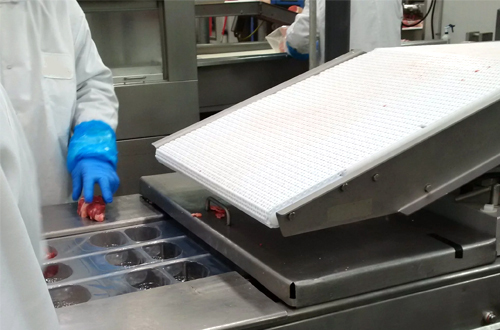 The NCCAS team has a wide base of customers across many different sectors, particularly in the food industry. This gives NCCAS the advantage of experience and exposure. We can offer and apply innovations from related processes to our OEM partners and by extension to our OEMs’ customers. Our focus on sanitary design and new regulations are applied to all of our projects adding value to any OEM partner’s project and builds trust, strengthening our partnership as well. NEW PRODUCT DEVELOPMENT: We can provide a proof of concept either in a model space format, or an actual working prototype. This helps our OEM partners sell their product, and the entire system, more effectively. LEADING FOOD INDUSTRY KNOWLEDGE: We are active members of PMMI and are involved in leading food industry groups such as OpX Leadership Network and the FPSA (Food Processing Suppliers Association). This adds credibility and industry experience that we pass along to our OEM partners and then to their clients to give them confidence and to ensure project success. INDUSTRY-LEADING SOFTWARE: We design with the latest Solidworks 3D modeling software, so we can share files back and forth with our OEM partners to ensure everything is going to fit properly before we build. 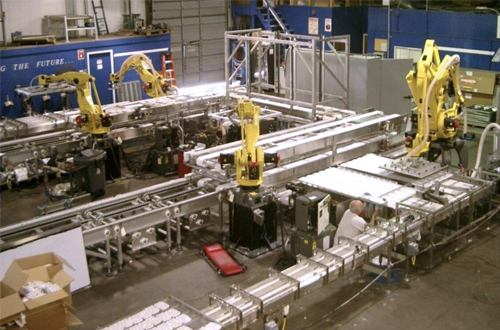 PROVEN AUTOMATED SYSTEMS: We’re a project-oriented integrator and we’re very experienced. Our process is well-defined and has been validated to be successful over 30+ years of projects. Our OEM partners’ clients experience our proven system through our partnership, which adds value to every project and helps build and maintain healthy business relationships.